The Laws of Disability Accommodations for Lawyers: What are your rights in the workplace? A disability can affect anyone – and lawyers are no exceptions. Recently, the Equal Employment Opportunities Commission (EEOC) issued a helpful fact sheet that addresses frequently asked questions about practicing lawyers and disability accommodations at work. So, what do you need to know? Modifications that can enable an employee to enjoy employment benefits (such as trainings sponsored by the employer or social events sponsored by the employer). Reasonable accommodations are required under the Americans with Disabilities Act of 1990 (ADA), but not all disabilities require a multitude of accommodations. To be sure, most disability accommodations for lawyers are determined on a case-by-case basis, with the understanding that a set of accommodations is not necessarily tailored to the needs of a specific employee. It is important for employers to understand that not all lawyers with disabilities will request reasonable accommodations. To be sure, we need to ensure that lawyers with disabilities have access to the profession in the same way that potential employees without disabilities currently have access to the profession. 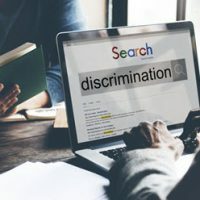 While some employers in the legal profession might make assumptions about persons with disabilities—including that they currently have equal access to the profession—anecdotal evidence suggests that lawyers with disabilities face many of the same barriers to employment that people with disabilities face in other jobs. One assumption that employers can make about lawyers with disabilities is that reasonable accommodations will be too costly or difficult to provide. In actuality, many lawyers, as we mentioned, never request reasonable accommodations, and when they do, they often can be provided at little or no cost. Modifying the methods of employee supervision. If you have questions about requesting a disability accommodation, or if you believe you were discriminated against due to a disability, an experienced Florida employment discrimination lawyer can assist you. Contact Scott • Wagner and Associates for more information about how we can help with your case.